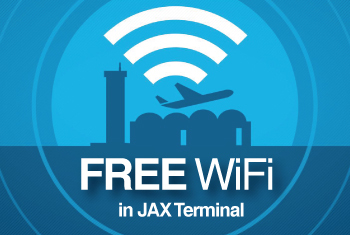 In its 2014 customer survey, Airports Council International — North America ranked Jacksonville International Airport as North America’s third best airport in its annual Airport Service Quality Awards — the best placement JAX has achieved since it began participating in the survey in 2009. As chairman of the Jacksonville Aviation Authority board, I’d like to personally applaud all of the employees at JAX, including JAA staff, TSA, airline and concession employees, for their hard work and dedication to providing exceptional customer service to everyone who passes through the airport. We all should be very proud of our airport and its employees who continuously strive to make Northeast Florida a great place to live, work and visit. As an airport that has a proven, award-winning record for high-quality service, we’re ensuring that visitors receive a stellar first and last impression of our region when they travel through our airport. I would also like to thank our local community and the traveling public for their continued strong support of JAX. The growth and success of JAX and the rest of our airport system has a direct impact on the local business community and the region’s ability to attract and retain new employers. A strong aviation system also leads to the type of economic growth and development that allows our region to capitalize on an increasingly global marketplace. Make no mistake: Jacksonville’s aviation infrastructure is a critical economic engine. 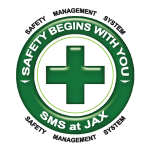 The Florida Department of Transportation reported in 2014 that JAA’s four airport system generates more than $3 billion in annual economic activity, including more than 30,000 jobs. So please join me in congratulating the men and women who make Jacksonville International Airport one of the best airports in North America.